Rhinoplasty, or nose reshaping surgery, can have a tremendously positive effect on the facial appearance. Even a subtle change to the shape or size of the nose improves the balance between the facial features. If you feel your natural nose looks “out of place” on your face, the board certified plastic surgeons at Atlanta Plastic & Reconstructive Specialists would be happy to discuss your options with you. 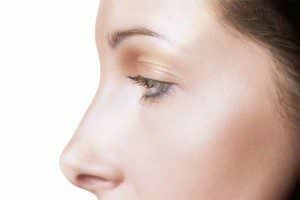 There are several reasons why people seek rhinoplasty. The majority of rhinoplasty candidates are self-conscious of the natural size or shape of their nose, or a specific feature (e.g., a bump on the nasal bridge, a droopy/upturned tip, asymmetrical nostrils). Other rhinoplasty candidates have sustained a traumatic injury to the face and now have a noticeable disfigurement in the nose. There is no way to conceal or camouflage an unattractive nose. Surgical treatment is necessary to tweak this prominent feature and improve facial harmony. If you are debating whether rhinoplasty is right for you, our plastic surgeons recommend you schedule an informational consultation. During the appointment, one of our surgeons will examine your nose and ask you to identify the areas of concern. You will also be asked to describe your ideal nose. We will determine whether your vision is realistic, and whether rhinoplasty will help. Rhinoplasty is performed on an outpatient basis. Anesthesia is used for your comfort. The procedure takes between one and three hours, depending on your specific plan of treatment. The rhinoplasty surgeon uses either the open or closed technique. The open technique involves making a short incision across the strip of skin separating the nostrils. This gives the surgeon better visibility during surgery, but may leave a tiny scar. In a closed rhinoplasty, the incisions are made inside the nose to eliminate the chance of visible scarring; however, the surgeon sacrifices some of the predictability and precision that the extra incision provides. Through the incision, the surgeon makes the necessary modifications. This could involve removing cartilage, using a cartilage graft to build up the nose, smoothing a bump on the bridge of the nose or making other subtle tweaks to improve the appearance of the nose. If needed, the surgeon can correct a deviated septum to improve breathing. Rhinoplasty recovery usually takes about two weeks. Mild bruising, swelling and soreness are normal during the first few days after surgery. Oral medication alleviates any post-operative discomfort. It can take up to six months for swelling to completely subside and the permanent results to appear. Breathing Problems: A deviated septum can make breathing difficult for people. Improper breathing can lead to sleep problems and a lethargic feeling. Increased Congestion: Patients who suffer from a deviated septum often experience higher levels of congestion; which, in turn, can create even more breathing problems and lead to more frequent illness. More Frequent Nosebleeds: Patients who suffer from a deviated septum are more prone to nosebleeds. More Frequent Sinus Infections: An increase in sinus infections is a common side effect of having a deviated septum. Sinus issues can impede breathing and lead to frequent headaches. Rhinoplasty is done across all ethnic groups, ages, and in both sexes. Since each population segment has its own desire and motive for the procedure, surgeons must consider the unique needs and aesthetic values of each demographic when performing a rhinoplasty. In Caucasian patients, a dorsal hump may be removed with tip refinement. African American patients often desire tip refinement, alar base reduction and dorsal augmentation. Asian or Latino patients may need a combination of the above. An older patient will have different needs than a teenager. Sometimes, special situations come into play. A traumatically injured nose is handled differently than one associated with a cleft lip or palate. Every case is unique. Rhinoplasty may also be combined with other facial procedures, most commonly with chin surgery. The chin is treated with either a chin implant or advancement genioplasty. This combination tends to balance the face and both procedures enhance one another. These considerations are typically noted during the initial patient consultation. This consultation often includes a morphing of the patient’s photographs, allowing the patient to get an idea of what the change may look like. During your consultation, you will explore options, preview potential results, and ultimately to determine the proper course of action. The open technique begins with a small skin incision in the columella (the tissue between the nostrils), followed by additional incisions hidden inside the nose. Using these incisions, I lift the skin off of the nasal cartilages for increased exposure of the internal nasal anatomy. 	After the skin is opened, I direct my attention to the septum, which I treat through the same approach. I generally straighten the septum and remove some cartilage that I later use to graft various areas of the nose. I take care to leave adequate septal cartilage for nasal support and strength. Once the septum is completed, I will trim some of the lower cartilages of the nose that make up the nostril rims. Trimming this cartilage allows narrowing and shaping of the nasal tip. 	At this time, I address the bridge of the nose. Oftentimes patients desire a hump reduction. If a large hump is removed, we insert spreader grafts (pieces of cartilage harvested from the septum) to open the internal nasal airway. This also helps contour the nasal bridge by producing a smooth continuous contour, and it improves symmetry in some cases. Next, I generally shape the lower nasal cartilages. I employ a variety of suture techniques to narrow, lift, project or otherwise address what is needed for that particular case. During this time, I use some of the remaining cartilage from the septum to control the position of the nasal tip by securing it in place. After tip is complete, I narrow the bony framework of the nose with osteotomy bone cuts that I perform with a small chisel. This lets me narrow and shape the bony portions of the nose. Many cases require reduction of the turbinates (the internal bone and soft tissues of the nose) using several different techniques. This helps to open the airway. I close the wounds with removable stitches in the columella and dissolving stitches on the interior. I use splints internally to secure the septum—and externally to hold the nasal bones in place. You can generally expect to wear some type of splint on the nose for about a week to stabilize tissues. The patient may have bruising around the nose itself and under the eyes for up to two weeks. This discoloration will dissipate gradually. Some amount of swelling may be visible for up to six weeks. Improvement will continue over several months. The final recovery from a nose job result of the surgery will take up to a year to show itself as fluids leave the tissues and the skin settles over the underlying structures. Avoid Medications That Promote Bleeding Your physician will provide the proper pain medication to keep you comfortable after your rhinoplasty procedure. Avoid taking aspirin or ibuprofen, which can cause delayed bleeding of the surgery site. Other medications such as gingko, St. Johns wort and vitamin E can also promote bleeding and should be avoided during the recovery period. Avoid Strenuous Activity Your surgeon will instruct you to avoid vigorous physical activity during the recovery period. This will help to reduce excessive blood flow to tissues while they are healing. Limit your activities to work duties and social activities for at least six weeks. Stay Hydrated Staying well hydrated is important for the healthiest of people, and even more important for recovery from surgical procedures. Drink plenty of healthy fluids such as fruit juices, clear broths, Jello, Gatorade and water. Elevate the Head When Lying Down Use two or three pillows to elevate your head when lying down. This will prevent the flow of blood to the head that will cause tender tissues to swell. As healing progresses, you will gradually be more comfortable lying flat. Don’t Smoke Smoking causes dilation of the blood vessels that can impede proper healing. This might be a good time to begin your smoking cessation to heal faster after surgery and to stay healthy to enjoy your new, improved appearance. If you feel embarrassed by the appearance of your nose, contact Atlanta Plastic & Reconstructive Specialists for help. Call us at (404) 255-2975 to schedule an informational rhinoplasty consultation.